Savvy New Yorkers are skipping the pre-blizzard frenzy. They're making messengers do the dirty work for them. 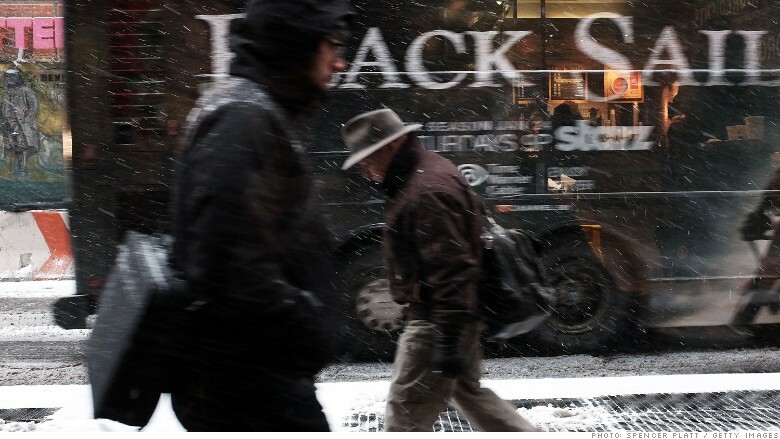 With a powerful blizzard hitting New York, stores are packed with consumers clamoring for storm supplies. But the savviest New Yorkers are skipping the lines altogether. They're making messengers do the dirty work for them. On-demand delivery startup Wunwun (which stands for "what you need, when you need it") had a huge spike in orders on Monday. Wunwun founder Lee Hnetinka said they're on pace to double the sales they usually post on an average Monday. Wunwun, which operates in New York City, the Hamptons and San Francisco, promises free delivery within the hour from a Wunwun "Helper." Typically Helpers do deliveries on bikes, but Hnetinka said they're operating under "blizzard protocol." If the messengers are unable to ride due to inclement weather, they'll use the subways or walk. "We send an email to customers to tell them that given the weather, delivery may take a little longer than normal," said Hnetinka. "But it'll still be under one hour." Requests have ranged from ingredients for s'mores to "as much water as one can reasonably carry." Wunwun plans to close just one hour early on Monday (at 10 pm), but says Helpers are free to go home as needed. The storm was the perfect opportunity for Wunwun to roll out its new peak pricing model. Using a weather API, temperatures or precipitation will auto-trigger a "weather fee" between $2 and $8. This money goes directly to the Helper. If last year's Polar Vortex is any indication, people are bound to tip more anyway during the frigid weather. At that time, tipping by New Yorkers jumped 5%, according to GrubHub.